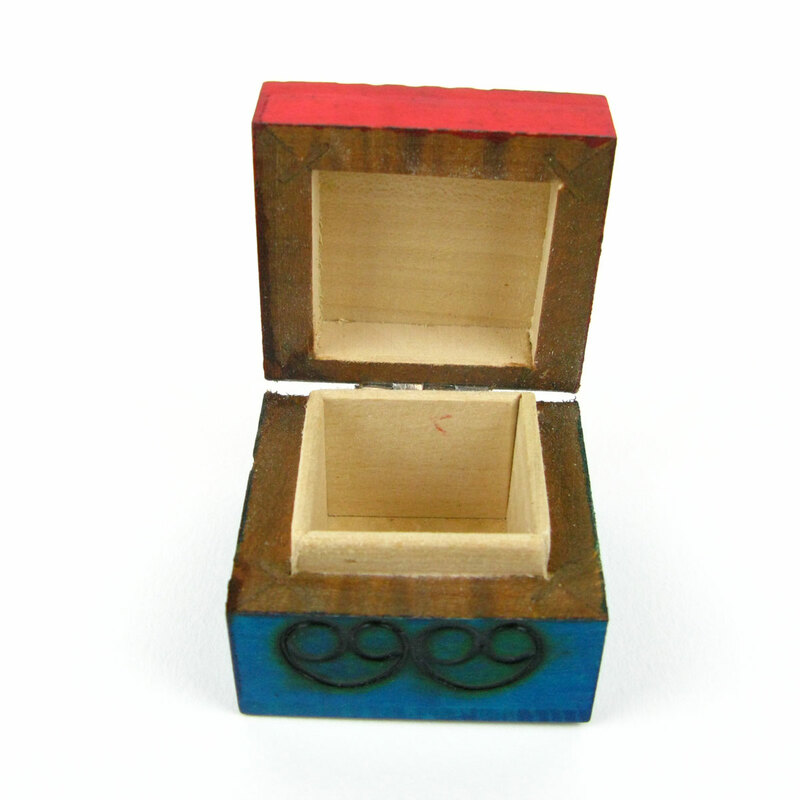 Small wooden box made to store milk teeth. A very unusual find! 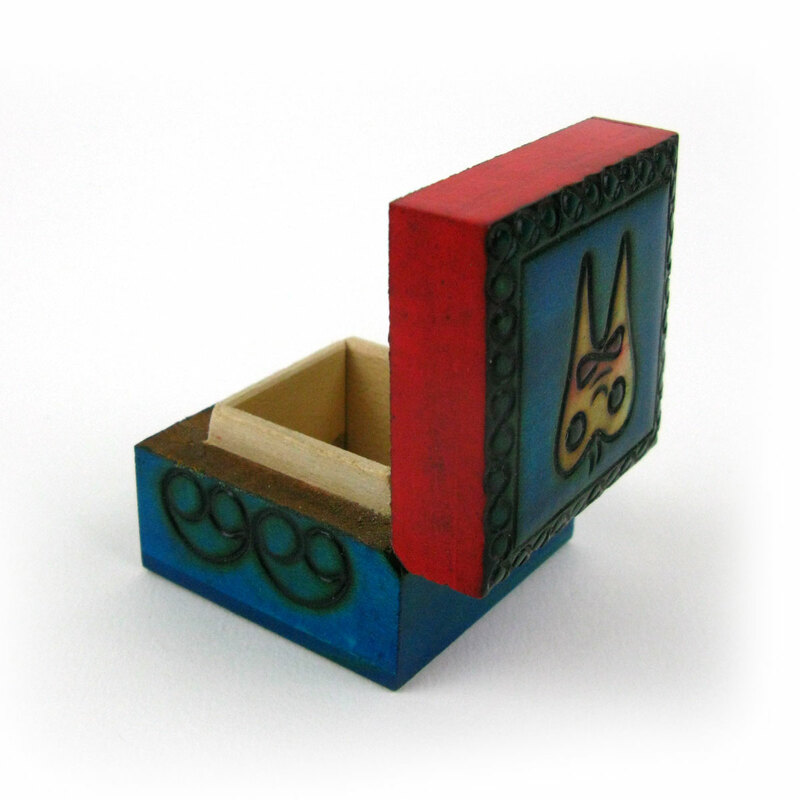 A brand new traditional Polish wooden box but with a cute folk art image of a milk tooth on the front. 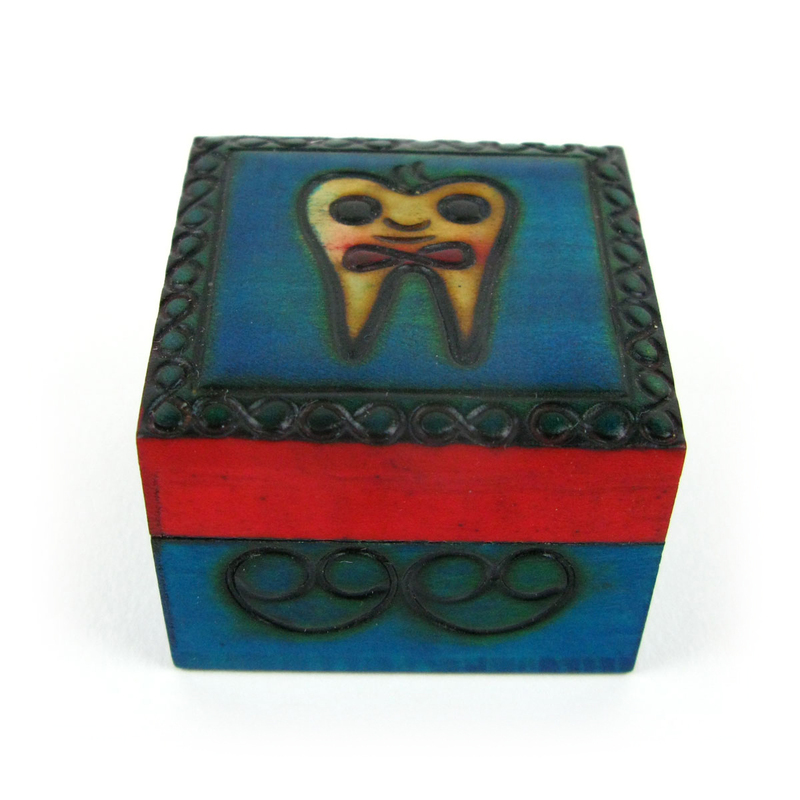 This small box is designed to keep teeth in, or can be used by the tooth fairy to stash her precious treasure. Handmade and decorated.